PASSION is at the heart of everything Di Piggott does, from the paddock to the plate. 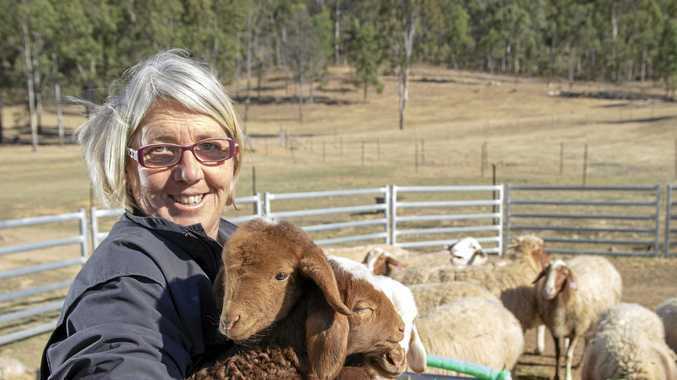 The second generation cheese maker owns and runs the Awassi Queensland sheep cheeserey at Grantham and said her passion was seeing the final product being enjoyed. The passion is because you want to produce a high-quality food - because we don't have it any more. The farm runs more than 160 head of Awassi sheep - a middle eastern heritage breed that dates back to biblical times and is famed for its milk quality. The sheep are split into two milking herds, allowing the Awassi Queensland to produce cheese year round. Ms Piggott's passion for cheese extends to her flock of Awassi, who she affectionately calls 'the girls'. 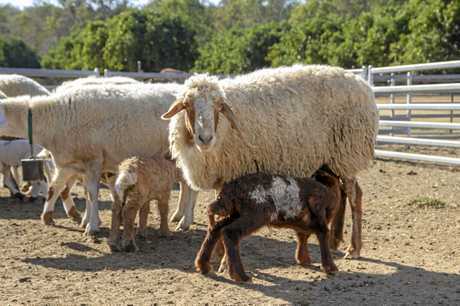 Few breeders still carry pure-breed Awassi sheep in Australia, and Ms Piggot said if farms like hers don't keep the ancient breed going, it would be lost in Australia. "I love the full heritage of the sheep," she said. 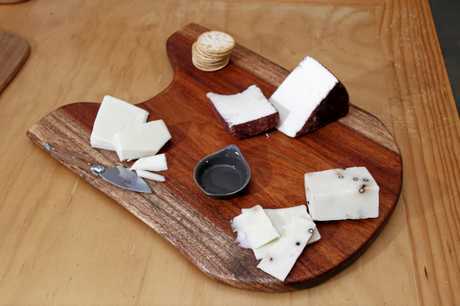 The farm is the second sheep's milk cheese producer in Queensland, and in just four years of operation has won multiple awards for its products. Ms Piggott calls her style of cheese 'farmstead' and says being able to have complete control of the process from paddock to the aging room is vital. We don't bring any milk in from anywhere else. "Farmstead is milked, cleaned, made here - it's very special not many places do that," she said. 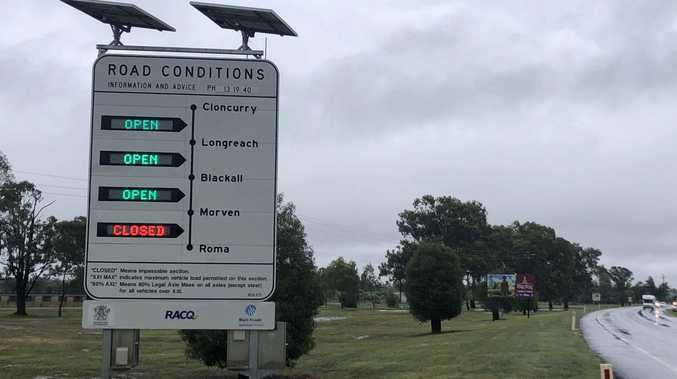 "It's not some gigantic big factory that brings in milk from all over the place, we know everything about the girls when they come in... it not only produces better cheese, it gives me confidence so I can say 'that's the best sheep's cheddar in Australia'." The dairy produces a variety of cheeses, both hard and soft, including their speciality cheese 'Grantham' - a regional cheese designed specifically for its locality. A farmhouse cheddar style cheese, Ms Piggott describes it in her tasting notes as "a little bit too young to be out alone". Being a farmstead dairy, the types of cheese Awassi Queensland produces are dictated largely by the milk the sheep produce and how it changes during different times of the year, something Ms Piggott simply takes in her stead. "Different parts of the milking season increase the fat content and things like that, so that's part of the natural cycle of the sheep to produce different milks at different times of the lactation," she said. "So when I get some beautiful fat milk that comes through I go 'oh, I'm going to make some Camembert out of that'. "It's variable so it's not a big difference, I just notice it because I work with the milk every day." The farm doesn't just produce cheese - everything from the sheep is utilised, with the whey bi-product being sent to a pig farm in Hampton for feed - and Ms Piggott said meat produced was incredible. "The pork (meat) was taken to a whole new level - the meat on whey is incredible... it melts in your mouth,' she said. Ms Piggott is inviting the public to visit the farm and discover the process of cheese making, which she said was vital to bridge the divide between producers and consumers. "We do cheese experiences... You'll get to milk the sheep and see what they do, you'll clean the milk, you'll go into the cheese room and make the cheese," she said. "So you actually get to see every part of it. We just want to share the experiences."